Since today is October 1. 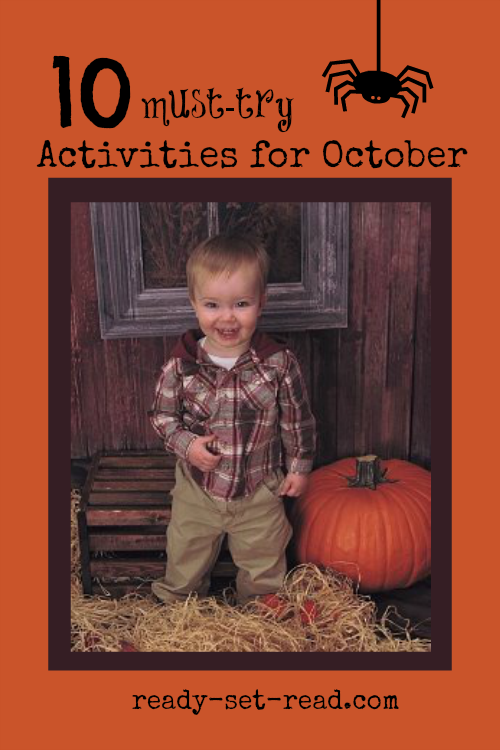 (10/1), I thought I'd feature 10 must-try activities for October. All of these cool ideas were linked up to Mom's Library last week! 1. Read a book about pumpkins. KC Edventures shared 12 Perfect Pumpkin Books for Kids. 2. Try out ebooks with your children! Here are 10 Autumn Themed Picture Books to Read on any Tablet from iGame Mom. 3. Prepare a set of October Table Topics from Growing Book by Book and spice up your nightly dinner conversation. 4. Celebrate Fire Safety week October 6th with this Fire Safety Pack from Enchanted Homeschooling Mom. 5. Visit a farm or try out some of these Farm Themed Montessori Trays from Gift of Curiosity. 6. Enjoy a fall snack like these cute Mummy Candy Cups from The Taylor House. 7. Enjoy the nature of fall with this Fall Nature Playdough Press from Sugar Aunts. 8. Add monsters to your math time to learn to count groups 1-10 with a free printable game from The Measured Mom. 9. Add an apple theme to your phonics and word work time to add seasonal fun to your learning. 10. Every star is Different shared a countdown to Halloween. There are 31 activities so start today... or make up some of your own ideas! This week you can enter to win a modern fairytale. 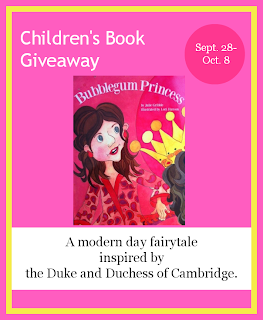 One lucky reader will win a copy of "Bubblegum Princess" a picture book inspired by the Duke and Duchess of Cambridge! You can read my full review of Bubblegum Princess and enter to win here. It's a clever 1/10 roundup - thanks for hosting! Thank you so much for featuring the October Table Topics! Thank you for featuring us!! !